When you purchase Avast SecureLine VPN from within an Avast application, your subscription is automatically activated on the Windows PC you use to make the purchase. 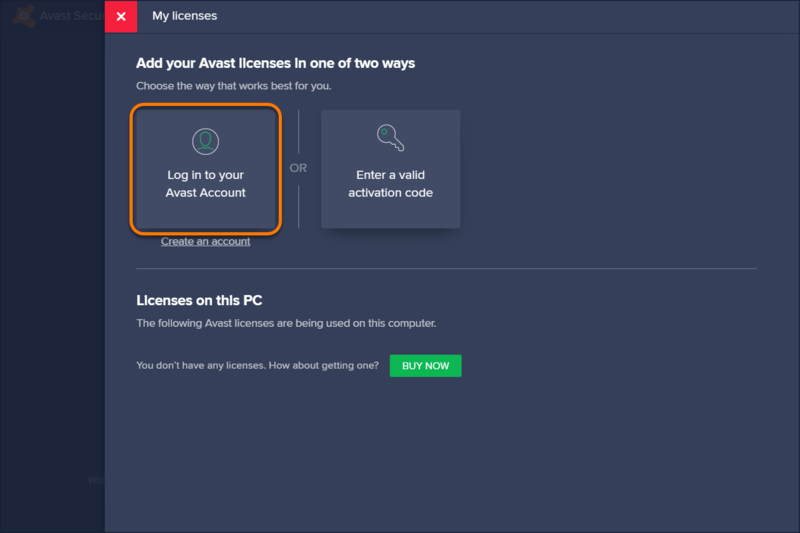 A subscription purchased through another Avast sales channel, such as the Avast Store, are also automatically activated when you receive and install the preactivated setup file. 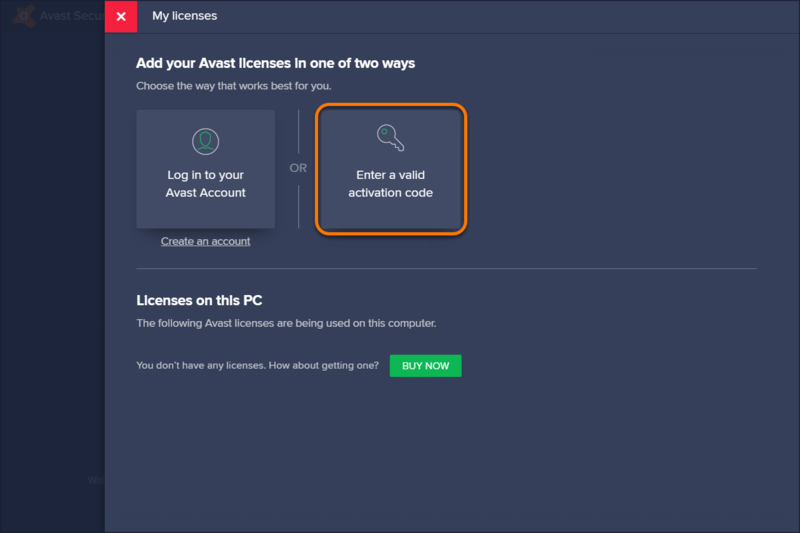 If your subscription does not activate automatically, you will need to manually activate using either a valid activation code (sometimes called a subscription code or voucher code), or license file, or via your Avast Account that is registered with the same email address you used to make the purchase. If you want to use your Avast SecureLine VPN subscription on another PC, you also need to manually activate it. The number of PCs you can activate depends on the subscription you purchased. 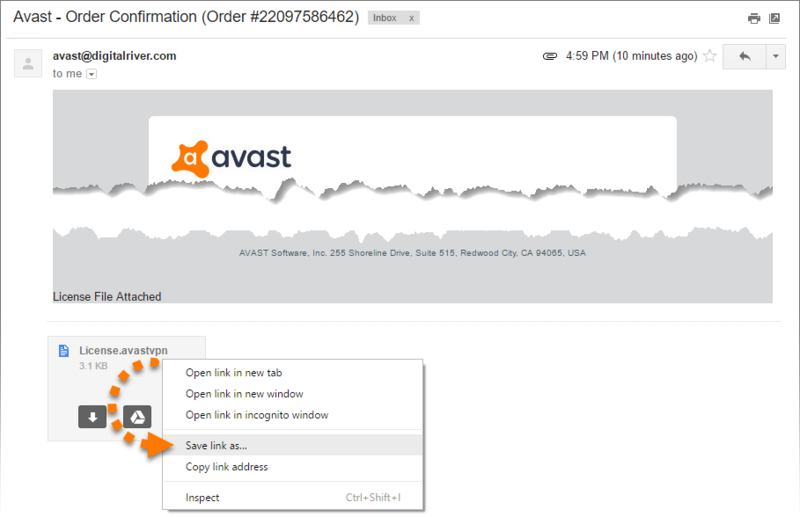 Double-click the Avast SecureLine icon on your desktop to open the application. Check your subscription details for the entered activation code. If you have an activation code for interchangeable products, you can click on a listed item and select an alternative subscription from the drop-down menu. Then click Continue to return to the My licenses screen. 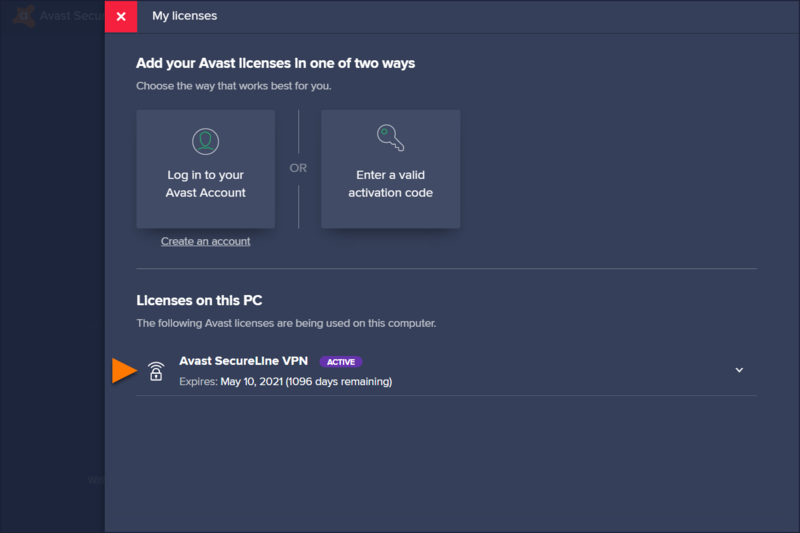 Right-click the attached License.avastvpn file to save it. The method of saving the file varies depending on your email client. You may need to right-click on the attached file and select the option Save as..., Save link as..., or Save all attachments. 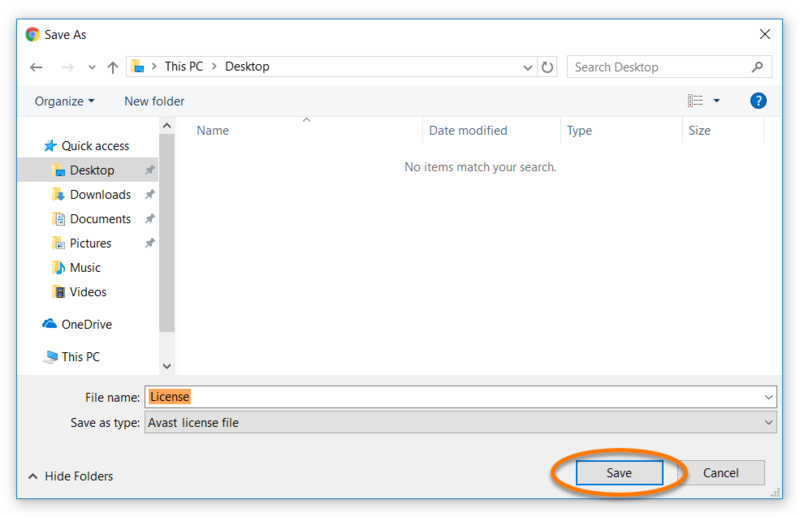 Locate the previously saved License.avastvpn file and click Open. Check your subscription details for the inserted file. 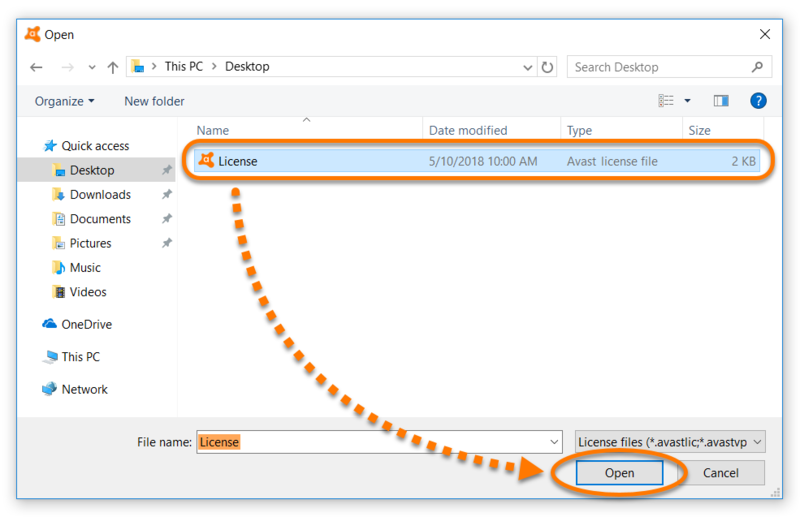 If you have a license file for interchangeable products, you can click on a listed item and select an alternative subscription from the drop-down menu. Then click Continue to return to the My licenses screen. 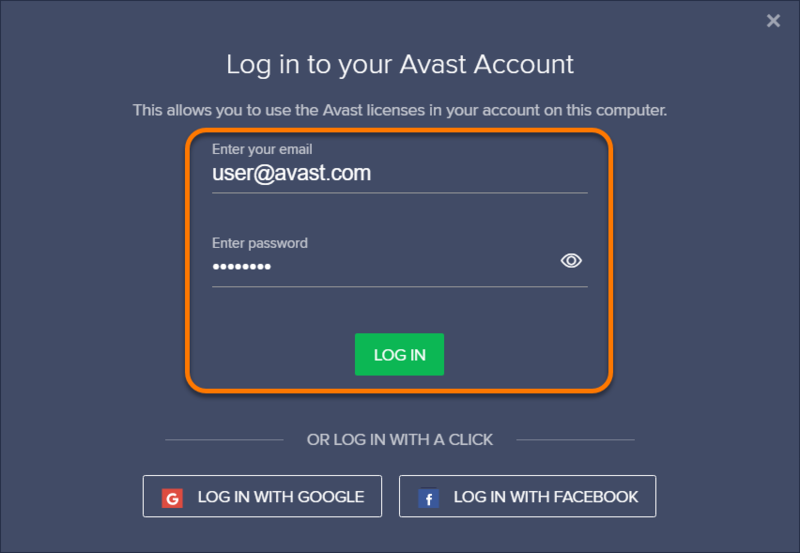 Check your subscription details for the connected Avast Account. If you have any subscriptions for interchangeable products, you can click on a listed item and select an alternative subscription from the drop-down menu. Then click Continue to return to the My licenses screen. 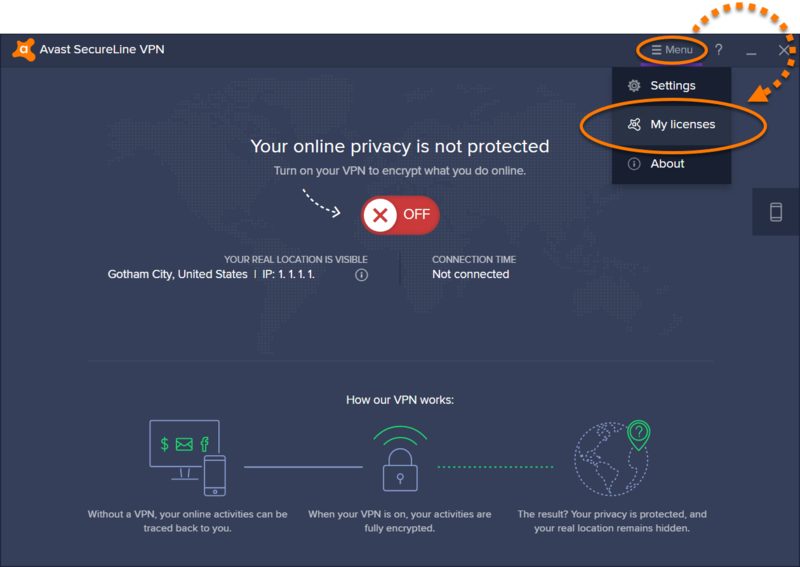 Your Avast SecureLine VPN subscription is now activated. The expiration date of your subscription appears under Licenses on this PC. 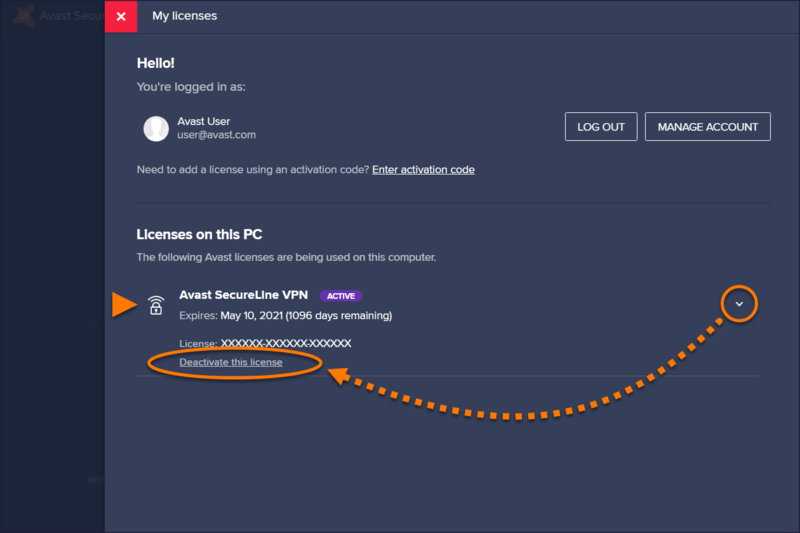 To change your subscription in Avast SecureLine VPN, select Deactivate this license on the My licenses screen, and click Deactivate to confirm. Then repeat the steps above to activate another subscription.